I was hungry for a big plate of pasta today, so I headed down to Assenti’s to pick up some fresh noodles and roma tomatoes. I made the sauce the traditional way (blanched the romas and removed the seedy part; puréed them, and fried it up in olive oil seasoned with garlic and fresh basil). 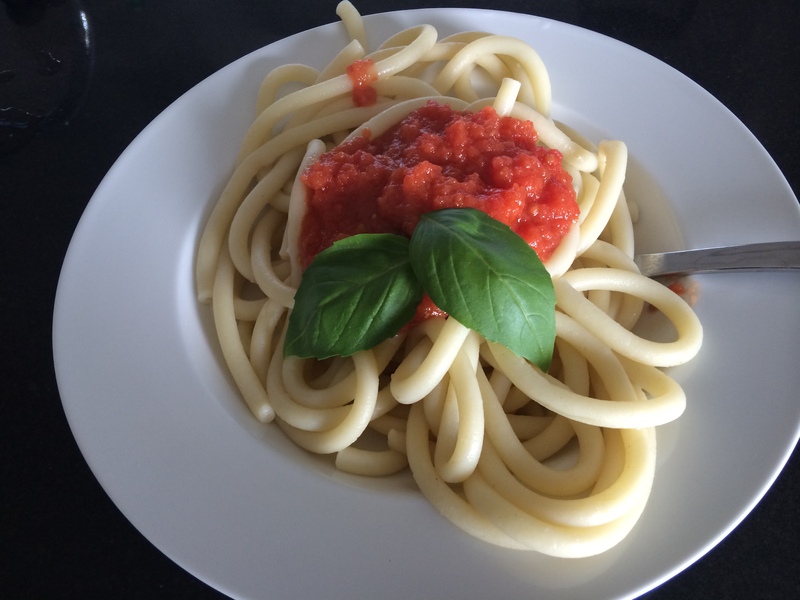 I ate 200g of the pasta, which probably totaled around 500 calories. The thick, doughy noodles really hit the spot. If you don’t know by now, this is how I lose weight.